Are you looking to do some renos or even contemplating building a new house in the Airdrie area? Well Viklund Contracting is the only call you need to make. With well over 400 projects completed over the years, we have the skill and knowledge to complete any exterior siding job, ranging from a small repair to a one of a kind custom home. Why Choose us for your next Siding project? Warranty: We give 5 years on installation and whatever the applicable manufacturer’s warranty is. Up to 50 year 0n Vinyl siding and a 30 year transferable on James Hardie plank. Experienced Crews: Most of the time you get us….. yes Natalie and Shane will be working on your house. Licensing: We are licensed bonded and insured. Services we provide in Airdrie. Vinyl Siding: The affordable siding option. Vinyl Siding is low maintenance and offers the durability that harsh Airdrie winters demand. Great Warranty too…. up to 50 years! James Hardie Siding: James Hardie plank is our fiber cement siding of choice. It looks great and is very durable. Remember those hailstorms a few years back in Airdrie? We replaced siding on many damaged vinyl siding houses, but Hardie siding on Airdrie homes survived the hail amazingly well. Most hardie houses just had their gutters and downspout and roof replaced. Eavestrough and Gutters: We do seamless eavestrough for the displacement of rainwater for your Airdrie Home. Gutters and Downspouts come in many different colors. 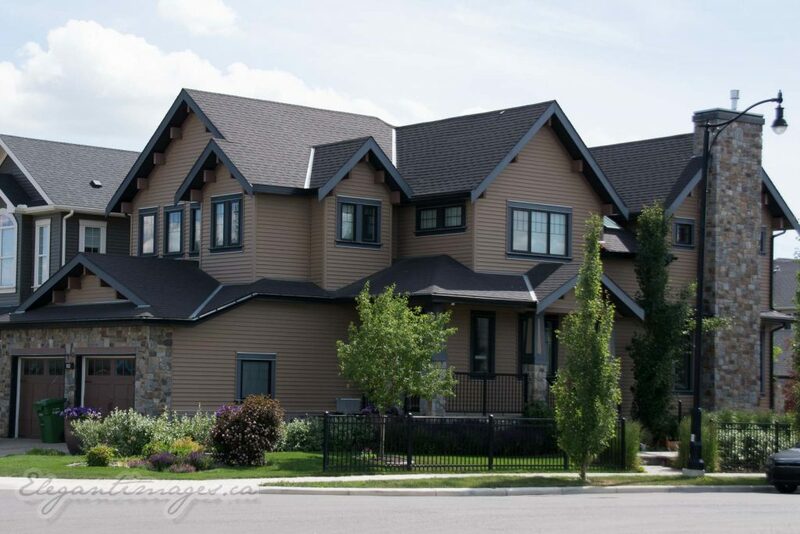 Soffit and Fascia: Enhance the beauty of your Airdrie home with new Soffit and Fascia. The curb appeal is amazing when you do your renovation with Viklund Contracting! For All Of Your Vinyl Siding and James Hardie Needs in Airdrie. Give Viklund Contracting a call now at (403) 617-7280. Or fill out the contact form and we will get back to you to answer any of your vinyl siding or Hardie siding questions. We can schedule an appointment to provide a free no obligation quote for your project.